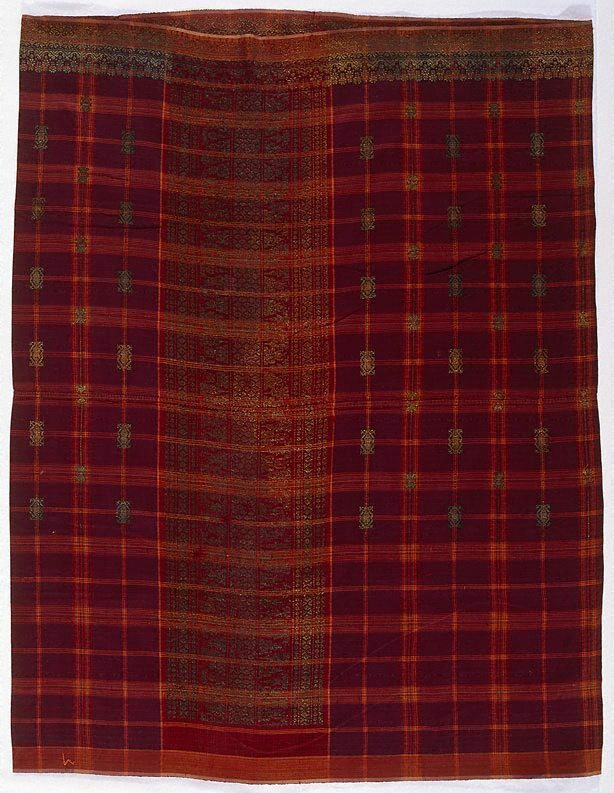 The plaid or chequered skirtcloth, combined with a collarless white shirt and black cap was generally regarded as standard dress throughout Islamic Southeast Asia, the skirtcloth only recently being replaced by trousers. The spread of chequered designs, particularly throughout Southeast Asia, may be in large part attributed to Islam and the desire for a lack of ostentation in dress. This textile, with its distinctive purple and orange design, is embellished with a subtle border of gold at the hem and rectangular-shaped motifs over the body of the cloth.